I just got back from an Oregon trip with the family and I can echo what Sean said, including the outstanding beaches and parks. I would spend every hour of every day at a beach if I could, so the Oregon coast is in my sweet spot. We spent most of the time in or around Seaside (35C temperatures drove us out of Portland the one day we attempted it). The weather was perfect, sunny and the low 20s. 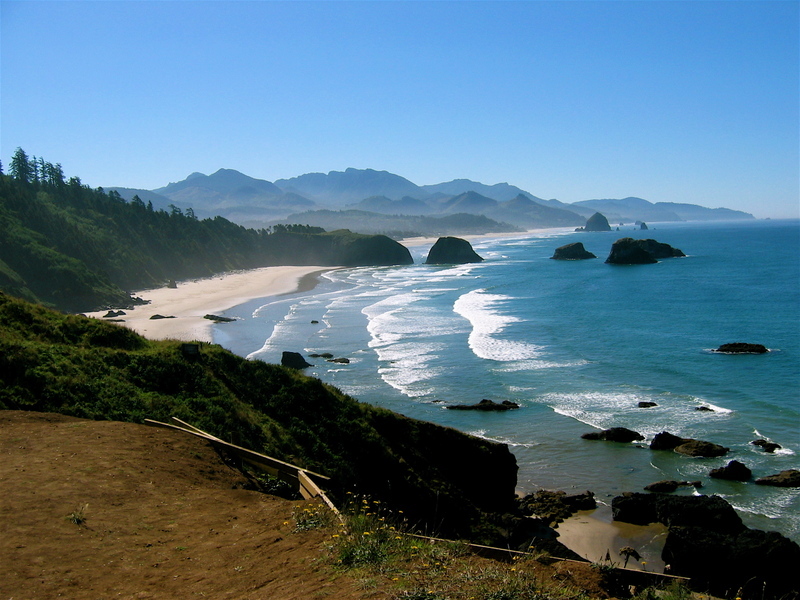 Oregon is definitely the place to go, particularly with young kids, for a summer holiday. Among my daughters' favourites were the bonfire on the beach, bumper cars, and the vintage carousel. At left is Ecola State Park, my favourite stretch of sand. 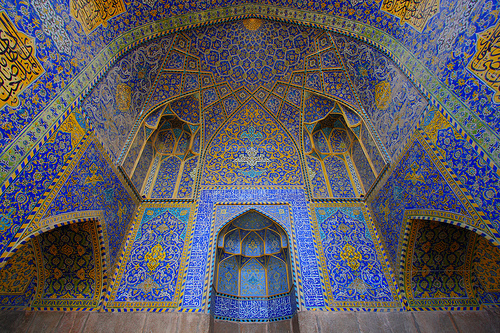 my brother in law just returned from a few weeks of holiday in Iran with an accumulation of beautiful images. His flickr site is here. I can never sleep on flights & Sean O'Mahony has a post up about jetlag that's pretty useful. He's a veteran of overseas and local air travel, Europe, N America, Australia, and Asia, so I would take his views seriously. I like that he distinguishes between eastward and westward travel, each of which hit me in different ways (east by far the worst). Going East: On the flight eat the vegetarian food and avoid alcohol. You should avoid coffee as well. It's pretty easy on most flights as it's absolute crap anyway. If you arrive around lunchtime and if your schedule allows then take a short nap between 4pm and 6pm. This is the most important part. Under no circumstances let yourself sleep through. If you do you are toast for the next 4-5 days. Get up after 90 minutes or so and have a shower then leave the hotel and go and have dinner. Back to the room, cup of herb tea some melatonin and you'll get 6 hours of good sleep. From here it's a matter of getting through your days and progressively going to bed later and later but go to bed no earlier than 8pm. That 4-6 nap is far too risky for me. I need to stay on my feet until 8 or 9 or else I zombify. If the hotel has a pool I try to throw myself in, at least for a couple of laps, to fend off the moving floor feeling. Not tried melatonin but I can second the advice about no alcohol and vegetarian meal. The tendency of the overseas flights to stuff you silly is deadly.